You have to feel sorry for Atlanta, Georgia. It’s suffered more ignominy than Anna Nicole Smith. During the Civil War, it was just about destroyed. The city rebuilt but what General Sherman and the Union Army couldn’t achieve was carried out with brutal efficiency by the mid-twentieth century blights of modernisation and urban renewal. Vast swathes of the southern edge of downtown were decimated in the 1960s to allow three cross-country interstate highways – the I-20, I-75 and I-85 – to join up. Through that decade and well into the 1970s, whatever historic charm remained in the CBD was laid waste. In its place came parking lots, characterless office blocks and sprawling multi-block travesties such as the America’s Mart that encompassed all the originality of Stalinist architecture minus the whimsy. When Atlanta was selected to host the 1996 Summer Olympics, the wheels of destruction were again set in motion. Eight hectares of the north-western end of downtown were bulldozed for the Centennial Olympic Park. It functioned well as a public meeting space during the Games but was quickly forgotten afterwards and now primarily functions as an area where the homeless can ambush tourists for spare change. While it might be a little difficult to see and touch history in Atlanta, you can at least drink it in. The city is headquarters to a number of the country’s largest corporations, among which is Coca-Cola. 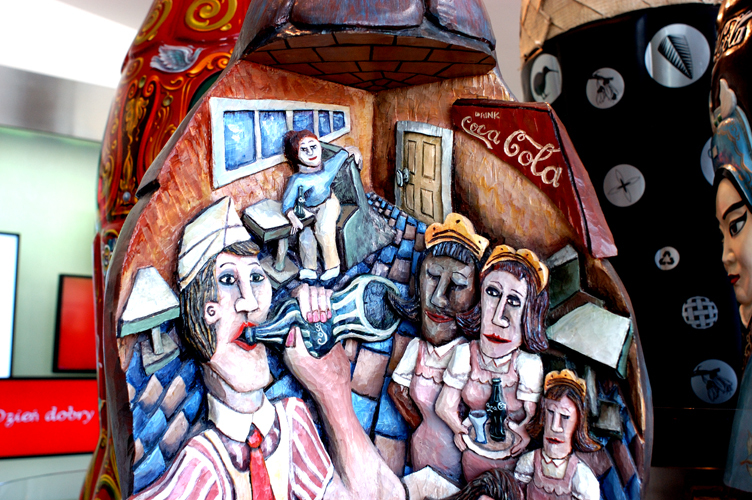 Invented in 1886 by pharmacist John Pemberton in nearby Columbus, Georgia, and first sold in Atlanta, the shrine to all things Coca-Cola and then some can be found in the aptly-named Pemberton Place, across the road from Centennial Park. 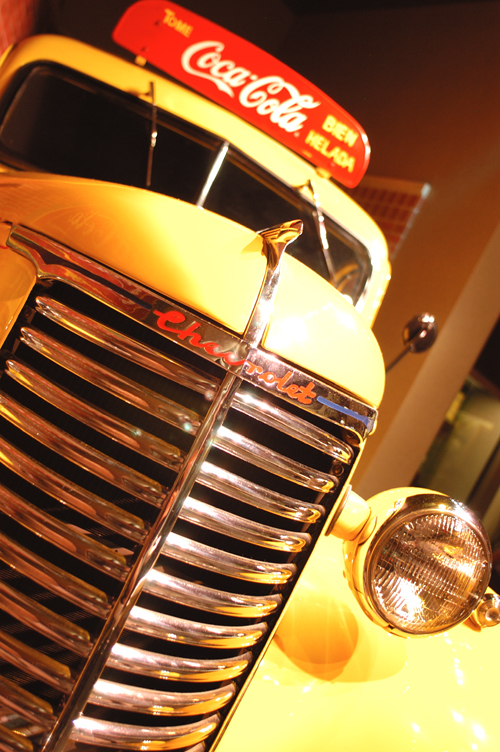 The World of Coca-Cola is just that – part museum, part corporate cathedral – a vast and entertaining homage to that which all things go with. Admittance is $US16 per person (a $US26 personally guided tour includes a special limited-edition gift) but is one of the few touches of value in the city. The facts and figures of the Coca-Cola Company are truly staggering. Coke is consumed by more than one billion people every day and is sold in 200 countries around the world. The value of the brand itself is estimated at $US50 billion. Aside from the dark, sticky beverage so beloved of bourbon and dark rum drinkers, the company markets around 3,000 different drinks. In the Taste It! area, visitors can try some of these different drinks. There’s Fresca from North America, yellow Inca Kola from Peru, Apple Kiwi Fanta from Thailand, Pineapple Fanta from Greece, Stoney Tango Wizi (a somewhat questionable name for something that tastes like ginger beer) from Zimbabwe, and a remarkably foul Peach Nestea from France. And, of course, Coke itself, though regrettably a shot of Jack Daniels is not an option. 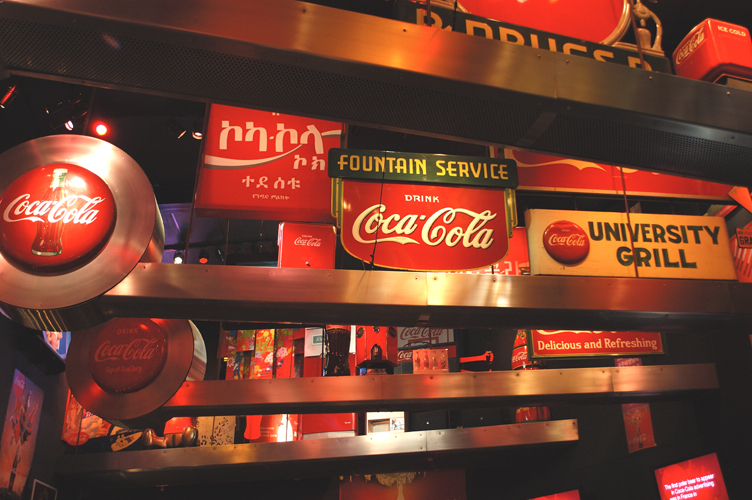 The Coca-Cola Loft is packed to the rafters with memorabilia and advertising material harking back to the late nineteenth century. These include original advertising materials and endorsements from such celebrities as Clark Gable and Carole Lombard as well as Norman Rockwell paintings specially commissioned by Coca-Cola. The first thing that springs to mind when browsing this treasure chest of collectibles is what would this stuff be worth on eBay? The World’s examination of all things Coke doesn’t shy away from the more embarrassing moments. While the expansion of the brand yielded such successes as TAB, Fanta, Sprite and Diet Coke, there was also the train wreck that was “new” Coke. On 23 April 1985, a “new” version of Coca-Cola was launched, a move that resulted in exactly 79 days of universal public condemnation until the company backed down and reinstated the “old” version. It was a case of “if it ain’t broke, don’t fix it”; paradoxically that term is generally considered to have originated in Georgia. The Perfect Pauses Theater shows Coke advertising from around the world including the hugely-successful Hilltop television ad from 1971. This featured a jingle with the line “I’d Like To Buy The World A Coke” sung by The New Seekers and co-written by British songwriters Billy Davis, Roger Cook and Roger Greenway; Davis had written Reet Petite for Jackie Wilson while Cook and Greenway’s hits included Long Cool Woman (In A Black Dress) for The Hollies. The ad was directed by two-time Oscar winner, Haskell Wexler, responsible for Medium Cool (1969). The song was re-recorded by The New Seekers, removing the Coke references, as I’d Like To Teach The World To Sing, which went to Number 1 in the UK and was a Top ten hit in the US. The tour ends, as these things so often do, at the merchandise store. Even the hardest to please anti-consumer will find something to come away with. Even if it is just a new appreciation of the siren call of popular culture. What is the 3D totem like art work you’ve included in the pix? Hey Alice – Thanks for dropping by. I’m not sure exactly what that is, just another example of the educational yet entertaining exhibits at the World of Coca-Cola. From memory, it was in the 3D Totem-Like Art Work Pavilion. Great post! I don’t really know much about Atlanta, but it’s kind-of sad that the bulldozed so much of downtown for one event! I really liked your phrase “corporate cathedral”, and the pictures are great! Thanks for sharing! I always enjoy your posts! Thanks Ashley. Great to get such feedback from as entertaining a writer as yourself. Love your work!